At the end of each year, we are whisked through a series of holiday celebrations, all leading up to the most contemplative day of the year: New Year’s Eve. Whilst reflecting on our accomplishments and goals, it’s easy to forget about the logistics of updating our home insurance policies to include all of the newly acquired belongings in our lives and evaluate what’s new or old in our homes. We have created a seamless checklist to make this process a breeze, so you can focus on ringing in 2019 knowing you’re prepared for any surprises that life has in store in the upcoming year. Update your home inventory list. This is a list you keep of all the items of value in your home. Many of you will likely be receiving more of these during the holiday season, so it’s wise to add these new items to a current list. If you don’t have one, make one. It’s simple to create; simply take inventory of the appliances, computers, electronics, housewares, clothing, bicycles and toys, jewelry, and any other valuable objects. This is a list for both you and your insurance carrier. It’s important that your policy stay up-to-date so that your coverage is as accurate as possible. Keeping a good record of all of your belongings will help resolve valid claims more smoothly. Save your receipts, contracts, and appraisals in a fireproof safe, or digitally online through sites like Dropbox or Google Drive. Review your policy limits on possessions. Every insurance policy has an allocated limit when it comes to covering your valuables. Make sure to update this amount if you need to. For instance, policies that cover jewelry will do so up to a limit, such as $5,000. But, if you are newly engaged or received new jewelry over the holiday, you’ll want to update your coverage to increase the amount. This goes for overall coverage as well. If you did any home appliance upgrades, like buying a new washer and dryer, you want to make sure your insurance agent knows about these new items and can guide you through updating your policy. In addition to newer goods, assess the value of older items. If the value of a treasured antique has gone down, your policy should also be adjusted accordingly to eliminate coverage you no longer need. Stay on top of maintenance to detect issues early. Just as you and your family get routine checkups at the doctor, it’s important you do the same for your home. Getting regular maintenance checks for your heating and cooling, roof, plumbing, and electrical systems can be a lifesaver in troubleshooting an issue before it turns into major damage. Also, pay close attention to your utility bills. Any sudden spikes or plunges can alert you to a bigger problem, such as a water leak. In addition, inclement weather is always an indicator to schedule maintenance to assess any damage. File claims as early as possible after any major storms. Tell your agent about renovations, home improvements, and new security measures. Saving money is always a smart idea. If you have put in a new roof, built an addition to your home, or installed a pool, these major overhauls need to be accounted for. A new roof could save you money on your policy, while more square footage that adds value to your home will probably result in an increase in your policy premium. When it comes to safety measures, adding a new smoke detector, alarm system, or dead-bolt locks can also save your money on your overall policy. Bundle up. If you have separate car and home insurance policies, talk to your agent about bundling your insurance policies, as this usually offers attractive discounts. If you bought a boat, RV, ATV or motorcycle, ask about a multi-policy discount. Check the landscape. Examine your yard to see that there is no extra brush, and trim your trees to reduce the risk of natural fire catalysts. And any dead trees or bushes should be properly and safely removed to prevent damage from falling. Know your policy in and out. It’s important, now that you’ve completed the checklist, to review your policy to know what’s covered and what’s not included. It takes a small amount of time to sit down and think through what’s valuable to you and make sure it is covered in case of any unforeseen circumstances. 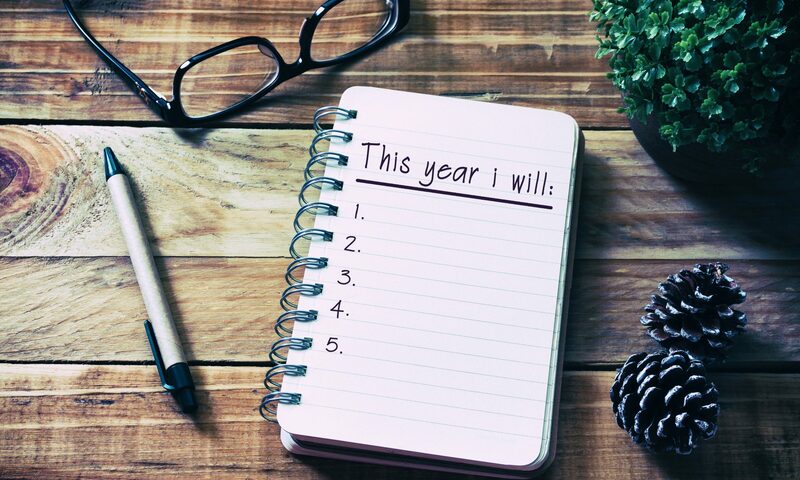 With any luck, our end-of-the-year insurance checklist will help you thoroughly prepare for anything life throws your way in 2019. As Benjamin Franklin said, “Diligence is the mother of good luck.” So in preparation for the upcoming year, investing a portion of your busy holiday schedule to review your homeowner policy is a gift that will truly keep on giving into the New Year. For informational purposes only and may not be applicable to all situations.